Owners of private homes with elevators still have time to request an inspection of the device with no penalty. The Department of Buildings (DOB) announced the three-month program on March 1, 2019. During this time, DOB will conduct initial inspections and tests of registered or unregistered private elevators at no charge. The 90-day amnesty period is designed to encourage owners of private elevators to bring their equipment into compliance with current safety regulations and to schedule mandatory inspections to ensure the devices remain mechanically sound. 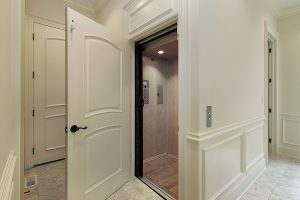 DOB launched the program after a woman was trapped in a private elevator on the Upper East Side for 72 hours, with no means of outside communication. A subsequent investigation revealed that the hoist motor had burned out and that the emergency phone inside the car did not work. New York City requires owners to register elevator devices—including dumbwaiters, platform lifts, and stairway chair lifts—and to obtain a certificate of compliance from the DOB to ensure safe operation. Failure to register and/or to maintain elevators may jeopardize the safety of passengers. Under this program, owners of private residences with unregistered elevators will need to retain the services of a registered design professional or licensed elevator inspection agency and secure an NYC device ID and certificate of compliance from the DOB. Owners will not incur any penalties or violations if the application is filed within the grace period. To schedule a free, no-penalty safety inspection, building owners should contact the DOB’s Elevator Unit by email at PrivateResidenceElevator@bulidings.nyc.gov or by phone at 212.393.2555.